The #1 tuner in the world! 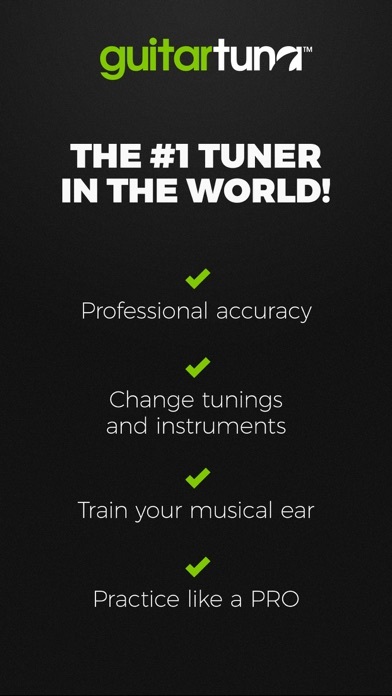 This is not just a guitar tuner: we’ve got +100 tunings for 15 instruments! It’s fast, accurate and easy to use. 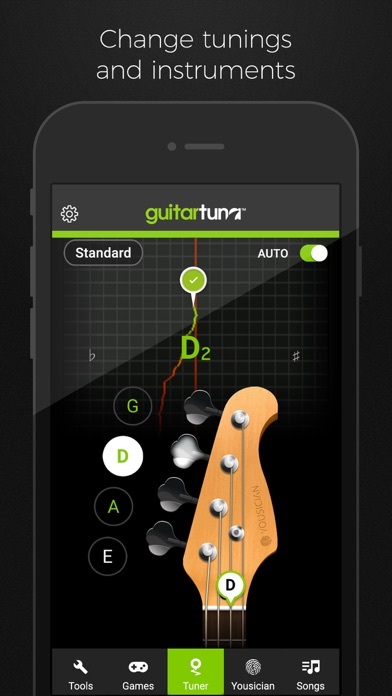 GuitarTuna has been downloaded over 80 million times, which makes it the most downloaded tuning app in the world. Tuna has it all: • A LOT of tunings: standard, drop D, drop A, half step down and loads more • Metronome with tap-for-tempo and multiple time signatures • Chromatic tuner for alternative tunings and for tuning any instrument • The clean, intuitive and customisable UI makes it easy for anyone to use • Tools: Ear training, chord guide, games, and exercises. How it works: Just pluck a string on your instrument - Tuna detects the sound using your device’s microphone. You’ll get instant visual feedback while tuning. No cables needed. With our award-winning audio recognition technology, we guarantee you an insanely accurate tuning result. We use noise cancellation technology to eliminate background noises while you tune. The instruments we currently support: • Guitar • Guitar 7-String • Guitar 12-String • Ukulele • Cavaquinho • Bass • Bass 5-string • Violin • Viola • Cello • Fiddle • Mandolin • Balalaika • Banjo • Banjo 5-String • Chromatic tuner for all instruments We’ve put a lot of love and effort into making GuitarTuna the tuner it is today. User feedback is valuable to us, and you can be sure we’re listening. 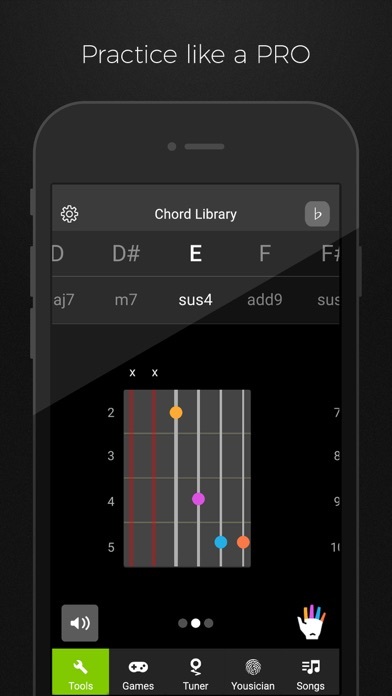 We recently added chromatic tuner to the app because of the sheer amount of requests for it. With the chromatic tuner, users can create their own tunings or tune basically any instrument (you can even identify your landline’s beeping frequency). GuitarTuna Pro subscription: Subscribe for unlimited access. Subscriptions are monthly. Prices may vary in different countries. Payment will be charged to iTunes Account. Subscription automatically renews unless auto-renew is turned off at least 24-hours before the end of the current period. Account will be charged for renewal within 24-hours prior to the end of the current period. Subscriptions may be managed by the user and auto-renewal may be turned off by going to the user’s iTunes Account Settings. Any unused portion of a free trial period will be forfeited when the user purchases a subscription. 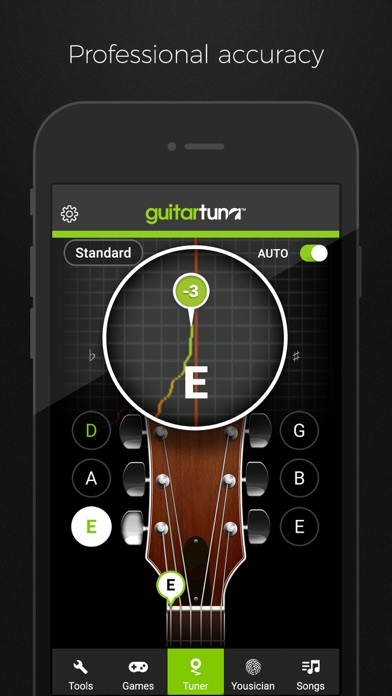 GuitarTuna is developed by Yousician. 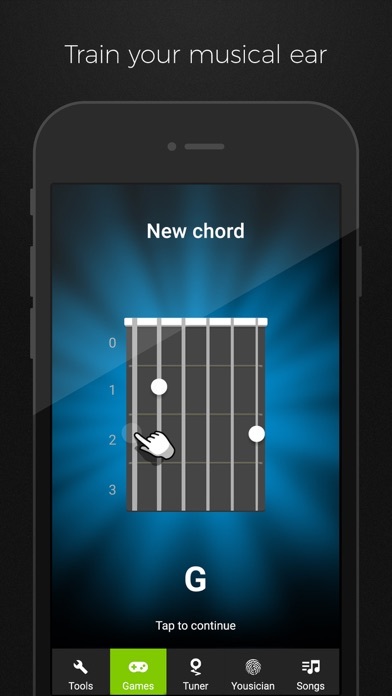 Check out the app to learn and master guitar, ukulele, bass, piano or singing! It’s pretty cool you actually read this far! Here’s a joke for you: What’s the difference between a bass and a tuna? You can tuna bass, but you can’t bass a tuna. Now download the app and see how it is. Send us your feedback of the joke and the app to support@guitartuna.com! Better than any tuner I’ve ever had even in a noisy room. Thank you guys. Easy to use and accurate. Has a lot of features.